This guide serves as a Fire Stick vs Apple TV Streaming Box comparison guide. Amazon Fire Stick and Apple TV have always been some of the main option on the market for people looking for a flexible solution to stream video content, as well as music and other media, through their television screens or their home theatres. Apple TV is, arguably, Apple’s offering, while the Fire Stick is Amazon’s competing product. Read on to find out more about the difference between the two products and see what’s more suitable to you! Platforms such as Netflix, Youtube or even Amazon Prime are extremely popular these days. With both the Fire Stick and Apple TV, you can access this content (streaming apps like YouTube and Netflix). The amount of streaming-capable devices you can use (other than your PCs or Laptop, that is) are becoming increasingly more exhaustive. One of the most appealing features of the Amazon Fire Stick on a “first impression” basis, even before you test the device, is the price tag. The Amazon Fire Stick is intact one of the most affordable TV streaming devices on the market, averaging at just about $40. This is a perfect tool if you like Amazon’s extensive selection of great TV shows, movies and other content. The Fire TV stick, which also offers a cool Alexa voice control remote, is slightly more expensive, and offers a lot more flexibility. It might not sound like a really big deal, but having to type the title of a movie one character at a time is truly frustrating! The vocal control is well worth the extra ten bucks. In comparing Fire Stick vs Apple TV, we revealed that the FireStick’s remote is slightly better. Side by side, both devices offer an extensive variety of content. Mainstays such as Netflix and Hulu, for example, are offered by both Apple TV and Amazon Fire Stick. Several other major features are offered as well. The main perk of the Amazon Fire Stick is that it has the great advantage of being able to rely on apps. Amazon hasvast offerings in terms of films and TV shows, including the notorious Prime Instant Video service. Amazon Fire Stick also offers a significantly larger variety of apps and add-ons, which can be downloaded and used in order to customize your own experience and tailor your content to your preferences and uses. The Apple TV platform offers new apps as the company releases new service updates, but Airplay can help user stream other apps they have on their other Apple devices, such as iPhone and iPad. Another main difference? Gaming. If video games are your thing, Amazon offers a wide selection of games, where the Apple TV has no game. FireStick overheats when playing HD content for a prolonged period of time (easily fixable with small fan). One of the most unique features of Apple TV is that it is obviously very well suited for fans of Apple products. In particular, if you have been growing a large collection of content on platforms such as iTunes, you will love the Apple TV and its ability to stream the content that you own seamlessly. The Apple TV also features a host of different apps, games and other sweet add-ons. In terms of hardware for this Fire Stick vs Apple TV comparison, its design is also pretty advanced. Apple TV’s design echoes the company’s notorious outlook for great design and great hardware. In particular, the Apple TV also has a really advanced remote control. The remote control features some of the best voice search and recognition tools available on the market. The Apple TV’s smooth remote control really helps you find your content seamlessly and quickly. 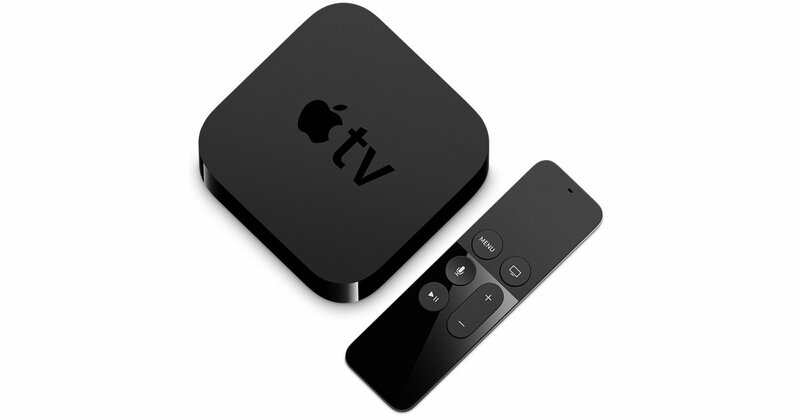 This is one of the priciest options, with recent Apple TV models sold at $150 dollars. Apple TV doesn’t support Kodi! If you have a certain older model of Apple TV, though, you can jailbreak Apple TV and Install Kodi. But it’s tough. You’re better off getting a Fire Stick if you want to use Kodi. Fire Stick is the clear winner because it supports Kodi (unofficially). So go get yourself an Amazon FireStick and start watching TV Addons in Kodi! Fire Stick vs Apple TV WINNER: Fire Stick is the clear winner because it supports Kodi (unofficially). So get an Amazon FireStick and start streaming!